Posted by Un po' di pepe in Italian language, Mangiamo! A few nights ago I was at my favourite pizzeria having a pizza Margherita. This made me think about Margherita di Savoia, and all the random connections to her name. Margherita di Savoia (Mar·gehr∙EE∙tah dee Sah∙VOH∙yah) lived from 1851-1926. 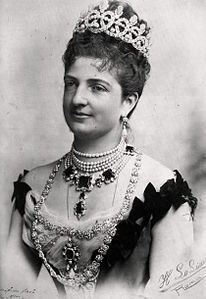 She became the first Queen of Italia when her husband, Umberto I di Savoia became King. They had one son born in 1870, and he became King Vittorio Emanuele III in 1900 after the assassination of Umberto by an anarchist. Regina Margherita was a great supporter of the arts and ‘opere di beneficenza’ – charitable works. She encouraged artists and writers and was involved with the Red Cross. During the war, she turned her house in Roma into a hospital. Margherita loved hiking and driving. The Royal garage was filled with cars named after birds. After her death, the cars were auctioned off for charity. In 1893, she climbed the peak of Monte Rosa in the Alps for the opening of Capanna Regina Margherita, the highest mountain hut in Europe. Margherita was extremely popular with the public. On her visit to Napoli in 1889, she took off her gloves to eat a chicken leg with her hands, which is the origin of the saying ‘Anche la regina Margherita mangia il pollo con le dita/ Even Regina Margherita eats chicken with her fingers’. Unfortunately Margherita’s political views leaned towards fascism in her later years, but fortunately that isn’t one of my random connections! 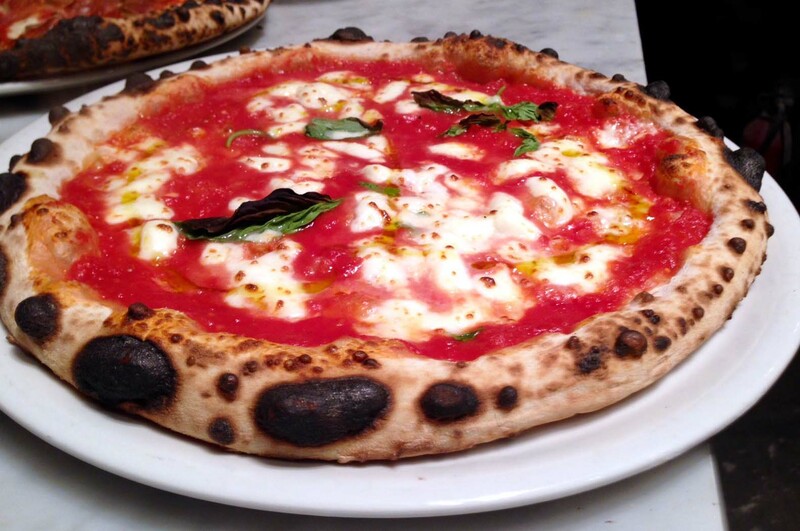 1-Pizza Margherita. In 1889, in honour of the royal visit to Napoli, Raffaele Esposito of Pizzeria Brandi ‘created’ pizza Margherita topped with pomodoro, mozzarella and basilico (tomato, mozzarella and basil) to represent the colours of the Italian flag. In reality these pizza toppings were already being used in Napoli, so it was the name created by pizzaiolo Raffaele. I remember having a delicious calzone a long time ago in Montaguto called ‘Le Mutande della Regina’. It was filled with Margherita toppings, and the calzone was left a bit open on the 2 sides, with sausage meat spilling out so they looked like frilly underwear! 2-Margherita di Savoia, Puglia. 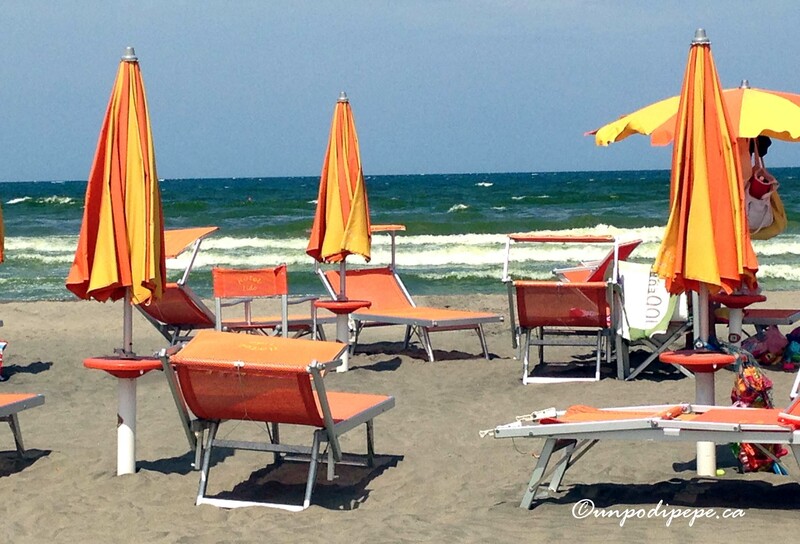 In the summer, there is a direct bus from Orsara di Puglia to Margherita di Savoia, a seaside thermal spa town in the province of Barletta 2 hours away. 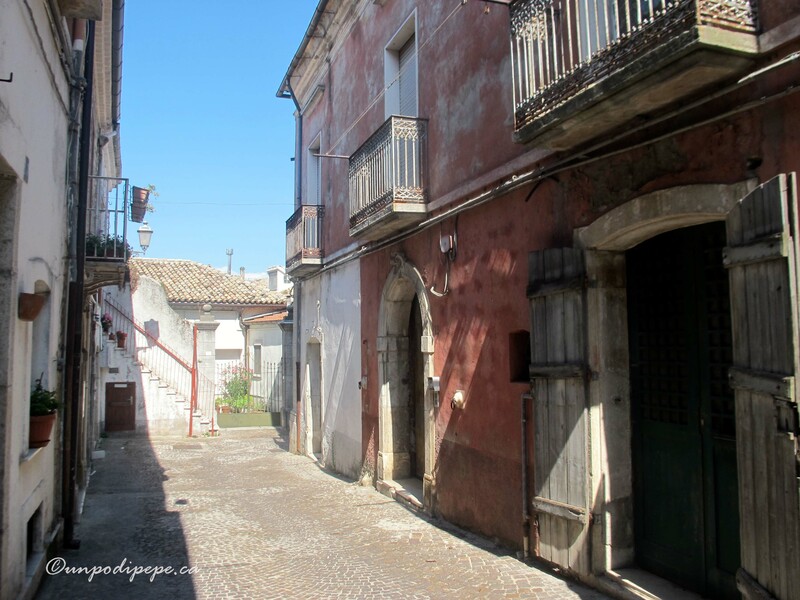 Before 1879, it was called Saline di Barletta because of the saltworks. Salt has been collected here since the Roman times. Approaching Margherita, the salt looks like snowy mountains by the beach. The water is very salty and therapeutic, and the Grand Hotel Terme di Margherita is known for ‘fanghi’ salty mud treatments. 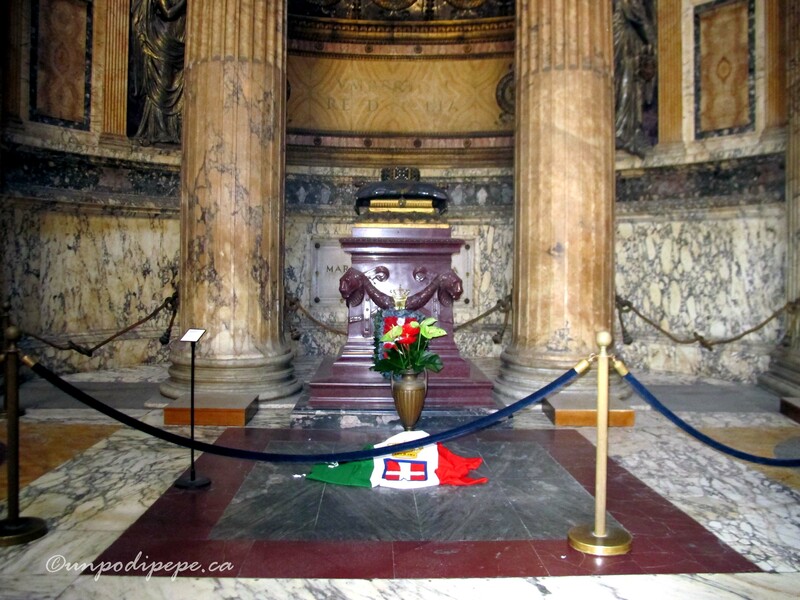 3-The Pantheon. Regina Margherita is buried with her husband Umberto in my favourite architectural masterpiece. 4-Tiramisù. Savoiardi are named after the Savoia family. They were the 15th Century official court biscuit of the House of Savoia, created in honour of a visit from the King of France. 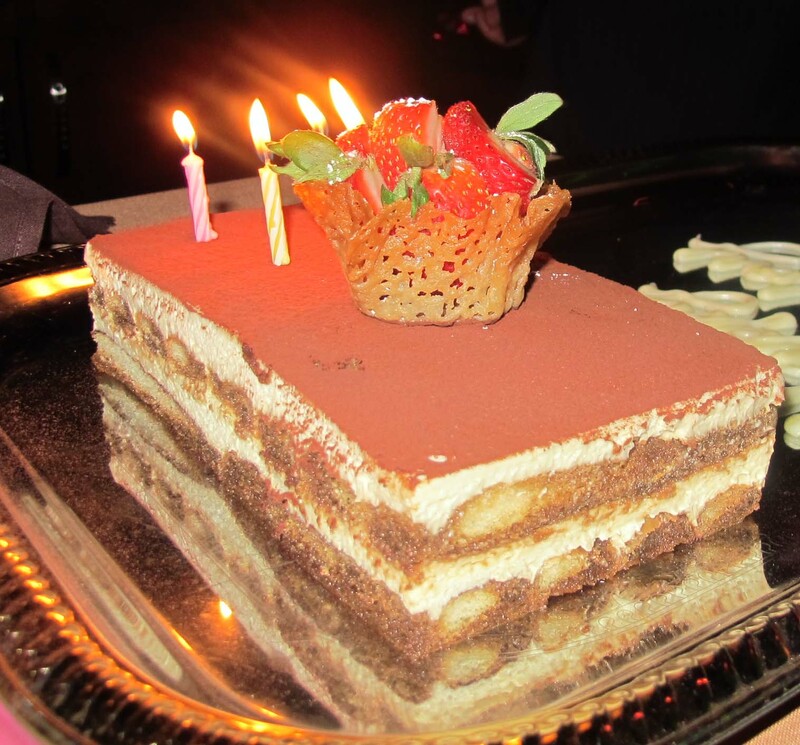 Without savoiardi, there would be no tiramisu. 5-Forza Azzurri! 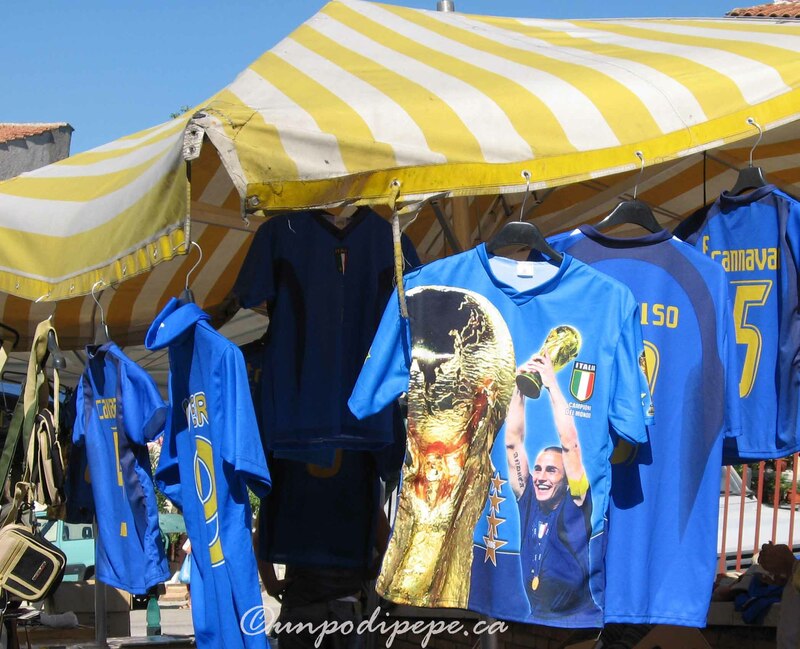 The Italian National Team wear azzurro, the colour of the House of Savoia. 6-My address! 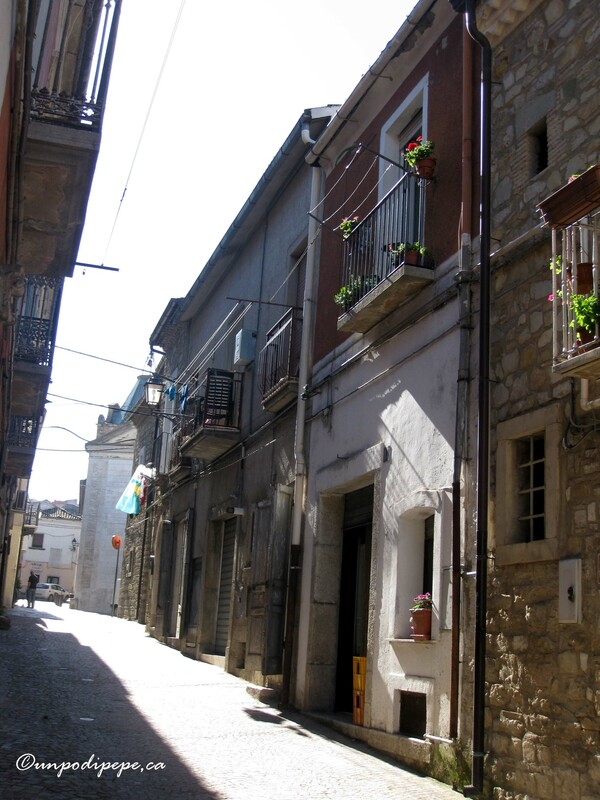 In Orsara di Puglia, I live on Via Regina Margherita. The last one is my favourite Margherita! The word ‘margherita’ means daisy, as in the flower. Can you think of other random Margherita connections? good to know, next time I have a Margarita Pizza I will have to think of her. We’ll have to try making ‘Le Mutande della Regina’ calzone! An original article about Italian words, places or things connected to the queen Margherita of Savoy. Ciao, I just found your website and enjoyed reading this post. I am in love with Italy and can’t wait to go back. I look forward to reading more of your posts. Grazie! 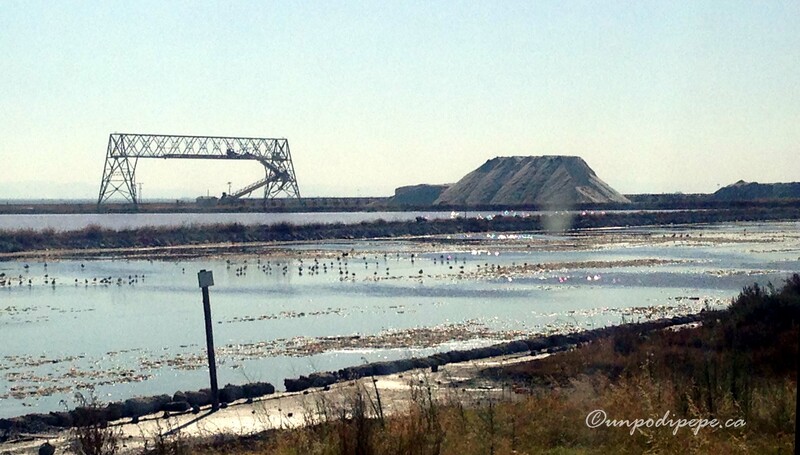 The salt piles are amazing, by the way. 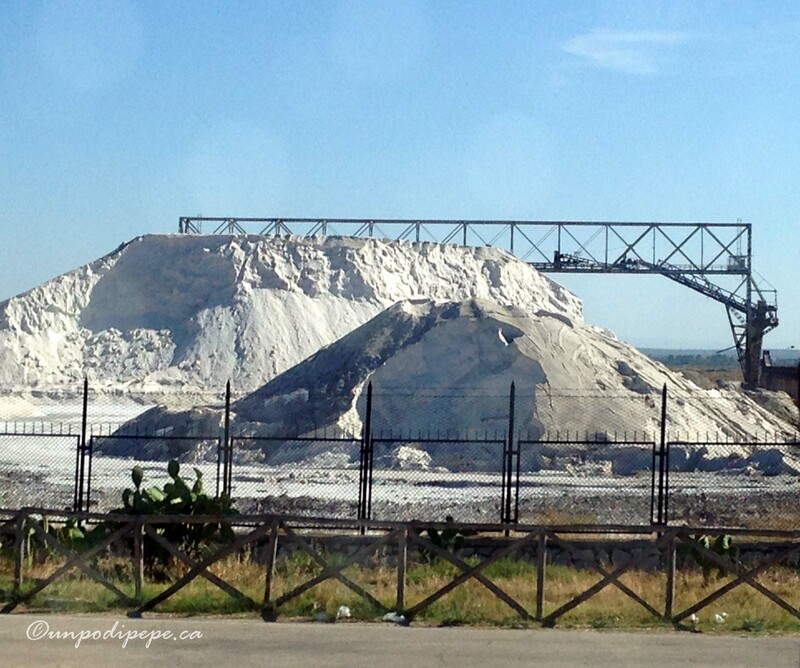 Salt production is such an ancient thing, and to see those big piles is fascinating, sort of like the windmills in Trapani, or one time I went into an enormous underground salt mine in Poland. In one area, they had taken out so much salt that they had set up an underground cathedral.